Intercontinental Hotels Group (IHG) will be expanding the presence of two of its brands in Asia-Pacific, with the introduction of its eco-friendly Even Hotels brand to Greater China and the debut of its Kimpton Hotels and Restaurants brand to Asia. The expansion of both brands was announced at the 2017 Hotel Investment Conference Asia Pacific (HICAP) in Hong Kong this week, with six hotels in total expected to be opened between 2019 and 2022. First to open will be the Even Hotel Sanya Yalong Bay on China’s Hainan Island and Kimpton Bali in 2019. 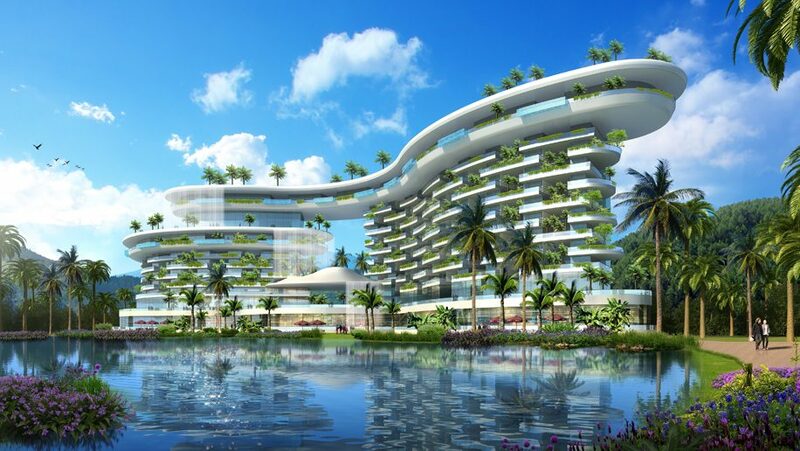 The Sanya resort will feature 134 rooms and 92 villas and is expected to have an impressive athletics studio, while the Kimpton Bali will offer just 50 villas on the Nusa Dua coast featuring local Balinese design elements. These will then be followed by two Kimptons opening in China in 2021. Kimpton Shanghai Jing’An will feature heritage structures – its common area will be housed in a preserved historic building – and along with its 150 guestrooms, the hotel will have 120 villas developed between 1910 and 1930 that originally belonged to the British-American Concession. Also opening that year will be the 251-room Kimpton Resort Sanya Haitang Bay (located in a different bay on Hainan island from the new Even resort), which will have direct beach access. Finally, IHG will be opening two more Even properties in China in 2020 and 2022. First will be the Even Hotel Jinan South in Shandong province’s capital city, offering 290 rooms with natural touches ranging from the bath products to eucalyptus fibre furnishings. Last to open will be the 250-room Even Hotel Chongqing Central Park that will form part of a sports-themed complex and development zone. “Around the world, we know that there is growing consumer demand for wellness-focused travel, including in Greater China, where there is a big opportunity for us to meet this need with Even Hotels,” said IHG’s CEO Keith Barr. This time last year, IHG announced its plans to introduce between 10 and 15 Even brand hotels to Australasia – at the time making it the first region to see the brand outside of the US. Back in July, the company signed the Even Hotel Auckland, New Zealand, set to open in 2020. Kimpton, which was acquired by IHG in 2015, meanwhile has had its sights on expanding in Asia, originally considering locations such as Hong Kong, Macau, Tokyo, Singapore and Bangkok.